St. Patrick's Day is coming up this week! 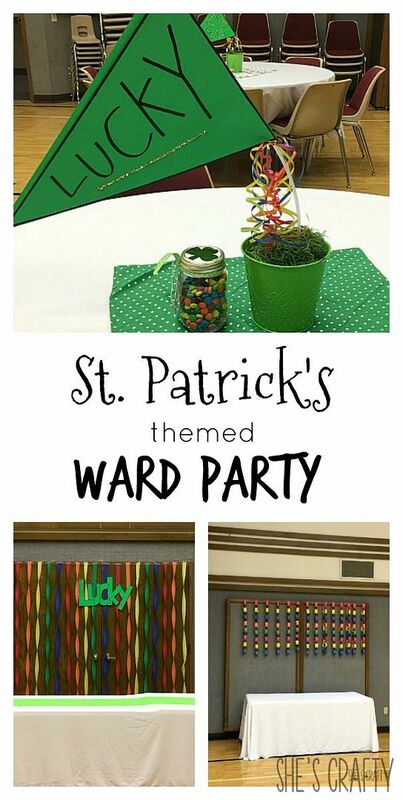 with a St. Patrick's themed ward party. I made the invitation in Pic monkey. We decided it would be fun to do adults only. 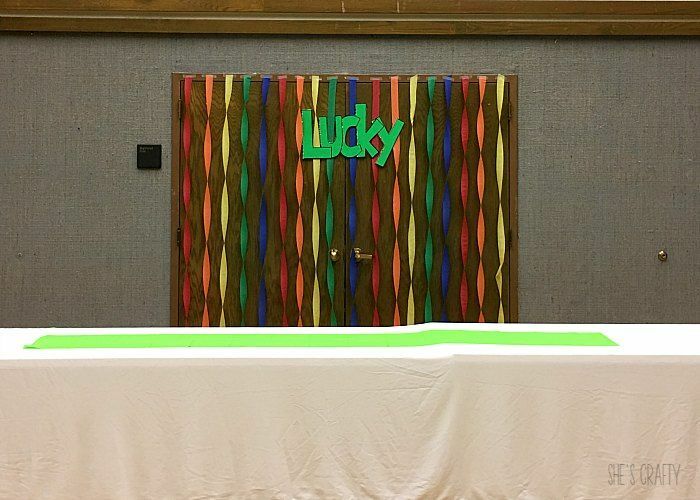 Our ward doesn't have a big budget for decor. I had to be very creative!! I DIY'd most of our decorations. 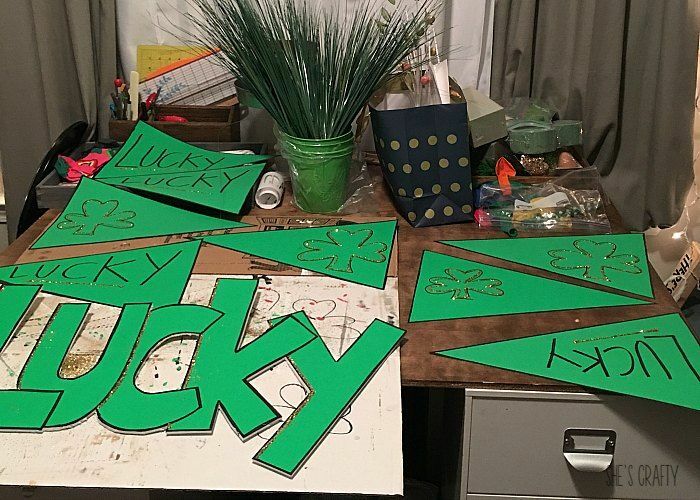 I hand drew the word "LUCKY" onto green poster board and cut it out. 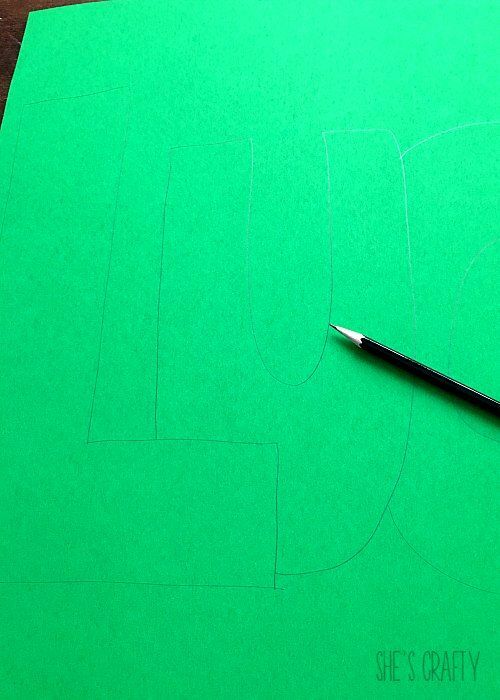 Then I glued it onto foam core and cut that out using a hobby knife. I traced around the edges of the word with a black sharpie. Then I used some gold glitter along the edges. with sharpie, then glittered them a bit. I bought crepe paper in rainbow colors from the dollar store. I twisted it to hang on the door behind the food table. Then I used the LUCKY to put in front of the rainbow. 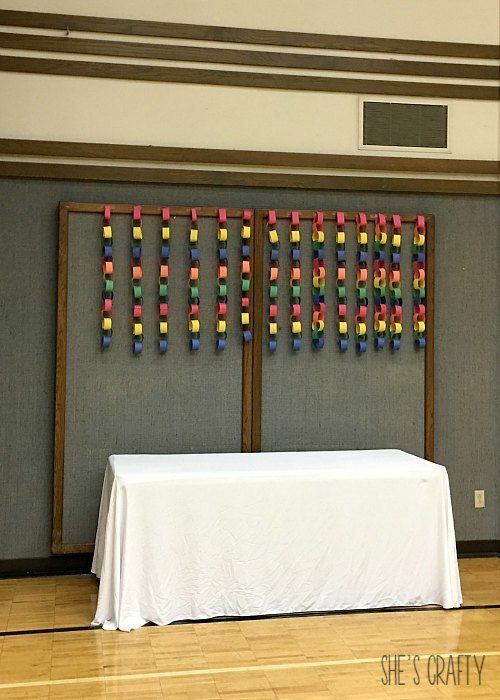 Above the desert table I hung rainbow colored paper chains. 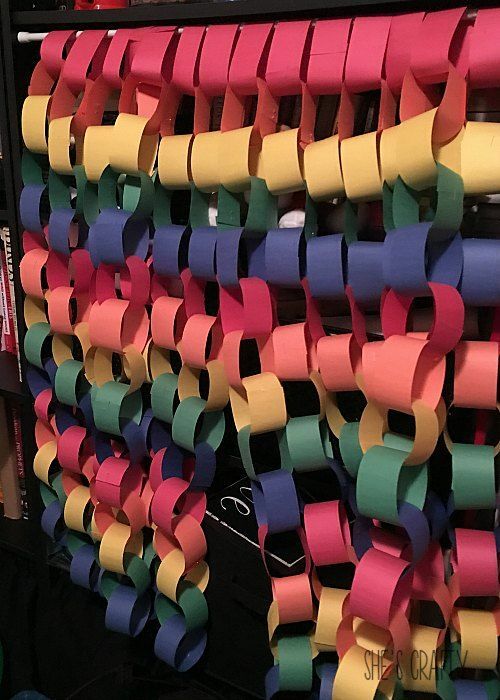 These are the old school, construction paper chains. I cut strips of paper to 1.5 inches. Then I stapled them into a circle, then I added more circles to make a chain. For table decor, I found St Patrick's Day scarves in the Target One Spot. hot glued some floral foam inside. I hot glued the posterboard flags onto a stick. I put the stick into the floral foam then covered the foam with moss. Then I tied rainbow colored curly ribbon to the stick. 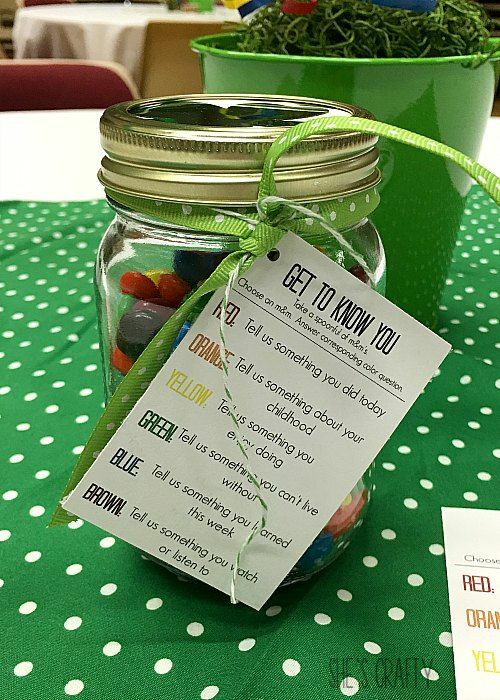 At each table we had Get to Know You jars. I filled jars with M and M's. Then I added small rainbow colored cupcake liners and a spoon. Each guest was to take a spoonful or 2 of M & M's. and answered the corresponding color question. This activity was a blast! We got to know one another so well! After dinner, we played a few Minute To Win it games. 1 person stood over another person that was sitting. 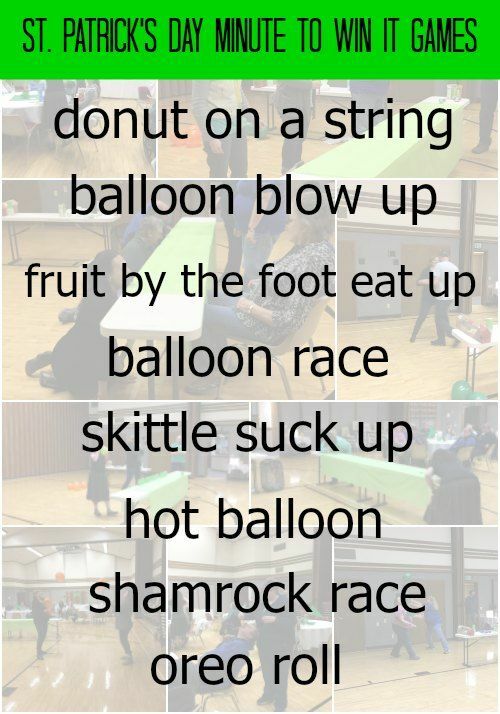 A donut was tied to a string. The stander had to dangle the donut above the sitters mouth. The sitter had to eat it without using his/her hands. There were 8 cups for each person set up on the table. The person had to blow up a balloon. cups completely off the table. Each participate placed a fruit by the foot in their mouth. The person had to eat the entire thing only using their mouths. They placed a balloon between the 2 of them. the balloon in place, without using their hands. and move them from one plate to the other. 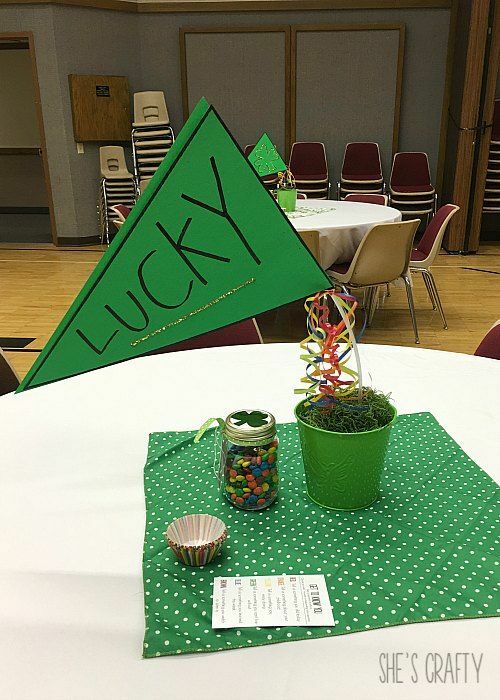 A shamrock was placed on each end of the table. shamrock to the center of the table. 1 person stood on one side of the table with an Oreo. Their partner knelled on the other side of the table with their mouths open. the mouth of their partner. 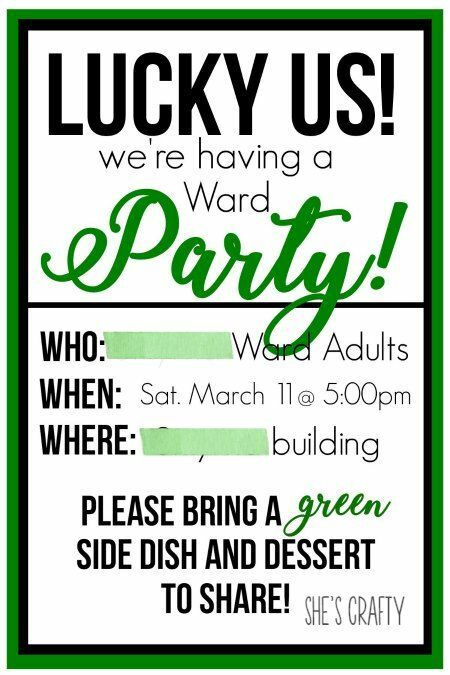 This ward party was very fun! We all had a great time getting to know one another and playing games!